I’m honored to be nominated for the Liebster Award by Mr. Thrifty from Thrifty Enough. 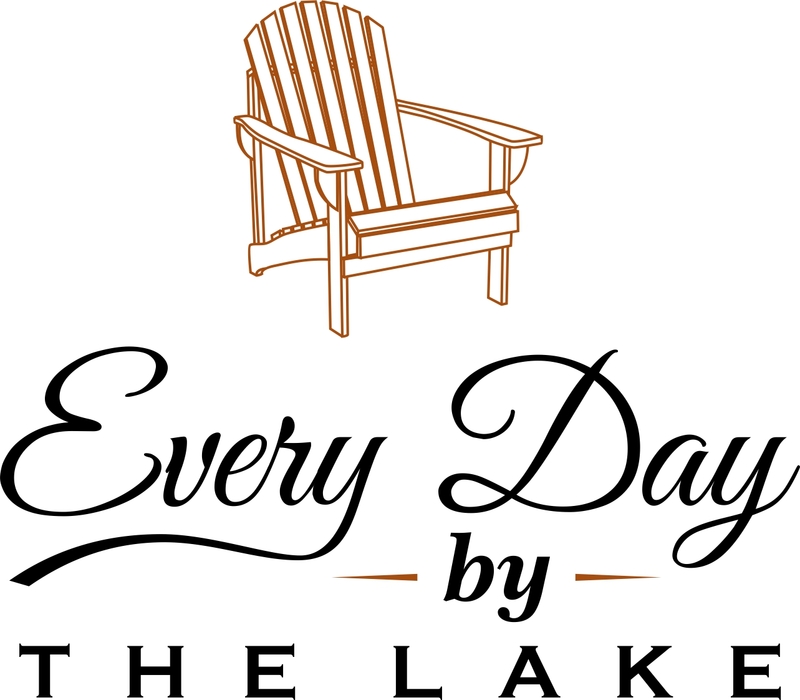 Thank you so much for recognizing Every Day by the Lake! The Liebster Award is a peer nominated way to recognize newer blogs and encourage readership. It’s a great way to promote others and get to know the writers/thinkers in the community. So Who is Mr. Thrifty? Mr. Thrifty is, well, thrifty! He’s realized that spending needs to be intentional and his blog shares his journey to becoming financially independent. His “uncommonly common sense approach to thrifty living” has given birth to a weekly feature of curated articles, the “week’s thriftiest content“. The blog is worth a visit for that alone– but I highly recommend adding this site to your regular reading list! -It took me a long time to decide what I wanted to be when I grew up. At first, a journalist. Then, a teacher. Later, a human resources professional. Now– I aspire to be happy and at home as much as my bank account will allow me! The actual work no longer really matters to me. -People look at me funny when I tell them that I dislike eating eggs and watermelon. I am weird– but I didn’t think this was a contributing factor. -I lived in MA for the first 29 years of my life– and only plan to return for visits. -I started working at age 15 and the longest I have been out of the workforce is about 6 months. I’m 33 now. -My guy and I have been together for almost 16 years. He’s 4 years older than me– which felt like a much greater age difference when were 17 and 21. -While I only have one indoor cat, I seem to be a magnet for strays. At the last two places that I’ve lived, a small throng of regulars has developed seeking kibble and a pat on the head. -My biggest fiscal downfall is eating out. Now that I don’t leave the house every day, this has gotten better. But I still cringe when I look at my checking account log. -Up until three years or so ago, I completely denounced homeownership. I wanted to be able to pack up and move on a whim. A decade long stint of moving every 2-3 years finally took its toll. I also realized that owning in FL made better fiscal sense than renting. We closed on our house in July 2016. -People often tell me that I have an old soul. I take that as a compliment. -I live on a lake, but I can’t swim. Even if I knew how, I have seen alligators swimming in there. No thank you. Maybe I will install a dock someday so I can fish. Where do you call home these days? I own a lovely lake house in Winter Haven, FL. How do you most enjoy investing your time? My favorite time investment is learning more about internet business. Why did you decide to start blogging, and how long have you been blogging? I have been blogging in earnest for about 3 months. I wanted to chronicle my semi-retirement experience and also hope to monetize the site in some way to help stay semi-retired. If you could travel anywhere in the world for free, where would you go? I would love a free tour of Europe. I have never travelled internationally. What would you do if you received a 10 million dollar windfall tomorrow? I would pay off my debts (about 300K), pay off the mortgages for struggling family and friends, sock about a million away into a safe investment for me to draw from and give the rest to charity. Who inspires you and why? I’m not sucking up here– but all of you inspire me! The FIRE movement is definitely expanding, but there are still so many people that don’t understand the whys of it, never mind the how. It’s reassuring, motivating and always educational to network with other bloggers who have similar worldviews. What have you learned that can help people who want to start a blog? Like every other topic since the advent of the internet– there is information overload about how to start a blog. My advice is to just do it. Familiarize yourself with the blogging world, yes, but don’t fall prey to analysis paralysis. You can always change your theme, your plugins and your webhosting. You can even forward your old domain to a new domain. Everything online is malleable. Don’t worry, just do. If you could visit any time period in history, which one would it be and why? A classic, but a toughie. Sometimes, I feel like I actually belong in my parents generation. It might be boring, but I only want to turn the clock back about 30 years on my birth. I heard the 70’s were groovy! What’s the number one piece of financial advice you’d give to someone? Make your spending count. For most people, hours of life are exchanged for dollars. Don’t waste those dollars– lest you waste your life. The below folks have been selected because their stories are interesting, relatable and inspiring. I wholeheartedly encourage a click on the below links and a follow of all of their social media profiles! Live Daily Mo Want to explore mini-retirements? Here’s the place to do it! Saving Joyfully Want to connect with one of the most encouraging and prolific bloggers around? Andrea’s your girl! The Blue Pants Budget Want to hear about a regular couple’s thoughts about debt reduction and budget travel? Look no further! Capturing Cents Want to read about a couple getting on the same financial page and working towards FIRE? This is one to follow! Teach My Kids Money Want to see how to talk to your children about money? Follow this one! So You’ve Been Nominated! Now What? Answer your nominator’s questions about yourself (list of questions below). Nominate between 5-10 blogs you feel deserve this award. Choose questions for your nominees. Notify the bloggers you have nominated for the award. What was your pivotal moment that led you to pursue FI/FIRE? What has been your greatest unexpected challenge of blogging? What’s your Achilles heel when it comes to saving money? Do you think that it’s better to be right or kind? Why? Do you think the pursuit of FIRE will ever go “mainstream”? Why or why not? What does your perfect day look like? How close is that to your reality? Tell us about your most satisfying resignation from a job. What made it so good? Are you an over planner– or a wing it kind of person– when it comes to FIRE planning? Explain your answer. This process has been a lot of fun! Thank you again, Mr. Thrifty! I look forward to seeing my nominees responses and to continue participating in this awesome community!